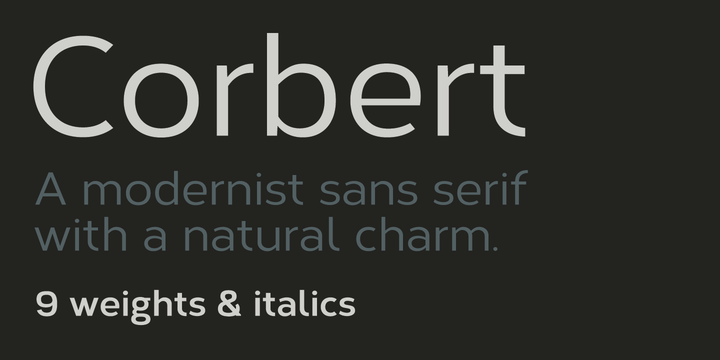 Corbert is a typeface created by Jonathan Hill and published by The Northern Block. Corbert family has 18 geometric sans-serif fonts perfect for magazines, posters and other future projects. A font description published on Monday, March 11th, 2013 in Fonts, The Northern Block by Alexandra that has 3,726 views.